Reviewer plays an essential role in the peer review process. Efforts of reviewers are the key for the objectives of a fair and timely review process for all of our manuscripts and the publications of only papers of the highest quality. We greatly appreciate reviewers for their help with meeting these important objectives. Reviewers shall regard a submitted manuscript as a privileged and confidential document and not meant to be public, and so should not use, share or disclose unpublished information in a manuscript except with the permission of the authors. The review process shall ensure that all authors have equal opportunity for publication of their papers. JIII employs single blind review, where the referee remains anonymous throughout the process. To keep reviewer confidentiality, we never disclose the names of reviewers to authors. The Editor will solicit you with the title and an abstract of the submission via email. Please acknowledge by email whether you can serve as reviewer. Please, let the Editor know soon. Once you agree to review the submission, the Editor will send you a file by email. Reviews should be completed preferably in 3 weeks. Your review will be sent in a report to authors, usually verbatim. Please provide sound, constructive reviews, expressing your criticisms with civility. Please remember to acknowledge whatever is good in the manuscript. Please, keep a copy of the review documents for your use in case a revision is submitted by the authors. Reviewers have 1 weeks to review a major revision. ♦ Reviewers are given 3 weeks to review the submission. ♦ Reviewers are given 1 weeks to review the major revision. ♦ If you need more time, please let the Editor know when you expect to complete the review. 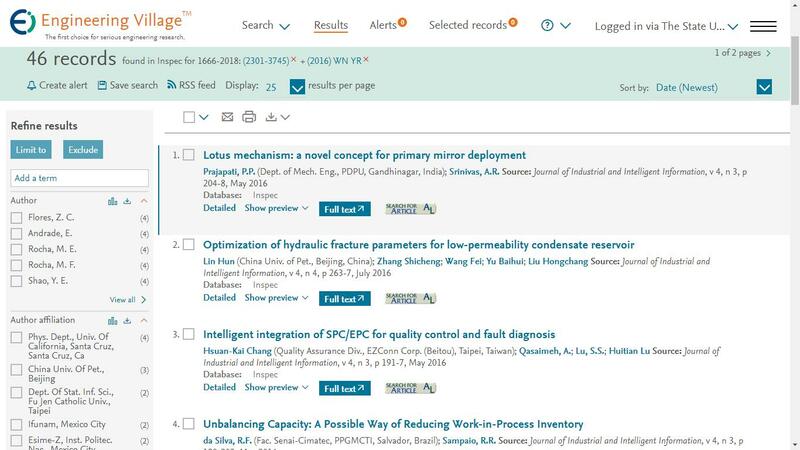 Experts and researchers of Industrial and Intelligent Informationare welcome to join JIII as reviewers, who play an essential role in the peer review process. Efforts of reviewers are the key for the objectives of a fair and timely review process for all of our manuscripts and the publications of only papers of the highest quality. We greatly appreciate reviewers for their help. If you are interested in becoming a reviewer, please complete the Application Form​ and send it to jiii@ejournal.net.